It’s no secret that proper home maintenance can save you the headache and expense of emergency repairs, but it can also help your home to hold or increase its value. Nobody wants to buy a home that has become run-down. It’s important to keep things in good working order. Here is a checklist for things to do in the fall to maintain your home. In the crawl space and basement, check for signs of mold or water damage. If any is found, eliminate the source and clean it up. Also check for any signs of rodents or insects. Repair any damage caused by rodents and insects, seal openings as needed and treat for any infestations. Inspect around the exterior of the house and all wood framing for the presence of termites and treat if needed. Check all the windows. Repair or replace cracked or broken windows. Check the caulking and weather stripping around windows and doors. Reapply caulk and weatherstripping where it s damaged or worn away. Not only is this good for home value, it will potential save you money on your heating bill! Also check interior walls and floors for termite damage. If any termite damage is spotted, treat for them or call a professional who does that. Check your gutters and downspouts, making sure that they are still properly attached to the house, and that they are clear of any debris. Check the attic for signs of leaking. Add insulation to the attic to lower heating bills. Have furnace and chimney inspected BEFORE you need to use them. Check the roof for any loose flashing, missing or broken shingles and make repairs as needed. Trim any tree branches that hang over the house. Any freezing rain or sleet could weigh them down enough to break them. You don’t want a tree falling onto your roof! Lastly, thoroughly clean your dryer vent and your vent hood above the stove. The dryer vent, especially is a major cause of house fires when it is not properly cleaned. You can get a printable home maintenance checklist from our Lincoln County Extension website. Do these tasks now, before it gets too cold! You’ll thank me when your winter is surprise free! Or maybe you won’t, because things will go so smoothly you won’t even think about it! 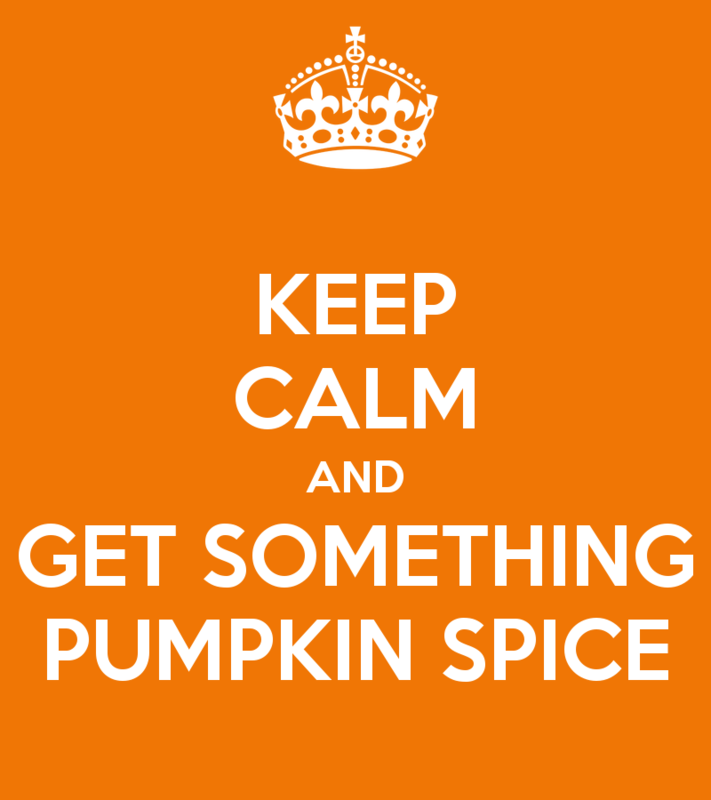 Foodie Friday: The Season of Pumpkin Spice Everything!! The season of pumpkin spice everything has officially begun. Where did this phenomenon come from? I think it was at the advent of the Starbucks Pumpkin Spice Latte in 2003 and it has spread like wildfire ever since. You can get coffee, instant pudding, marshmallows, soaps/lotions, air fresheners, dog treats, and a whole host of other things in a “pumpkin spice” variety. This year there is even a pumpkin spice flavored Oreo cookie! I don’t believe I’ll be trying that one. But what is pumpkin spice? I’ll tell you. It is a blend of cinnamon, nutmeg, ginger cloves, and allspice. You can mix your own pumpkin pie spice or buy it already done from the baking and spices section of the grocery store. You can certainly make your own pumpkin spice flavored treats at home now that you know this trick! To make your own pumpkin spice coffee creamer, simply make a bundle of your pumpkin pie spice using a small square of cheese cloth and some twine. Warm your desired amount of half ‘n half on the stove top or in the microwave, making sure that it does not boil. Place your little pumpkin spice bundle in the hot half ‘n half and let it steep for 5-10 minutes. Discard the bundle and add a little vanilla extract and sugar to taste (or you could leave it unsweetened and add sweetener to each cup of coffee). Store your new, homemade pumpkin spice creamer in the fridge. **A canning jar would be a great storage container for this. If you’re feeling extra motivated, you could make a cute label for your jar in the shape of a pumpkin. Try pumpkin pie spice in your favorite pancake recipe. Try pumpkin pie spice and brown sugar in plain, nonfat Greek yogurt. You can surprise your family with pumpkin spice french toast! Beat a teaspoon of your pumpkin pie spice, a teaspoon vanilla, and a teaspoon sugar into two eggs with a splash of milk. Dip your bread in egg mixture to coat. Place in a hot, greased skillet and cook for 2-4 minutes on each side until egg is fully cooked and looks golden brown. Top with cinnamon and powdered sugar or cinnamon and pancake syrup. Garnish with canned pumpkin or apple butter. Yum! 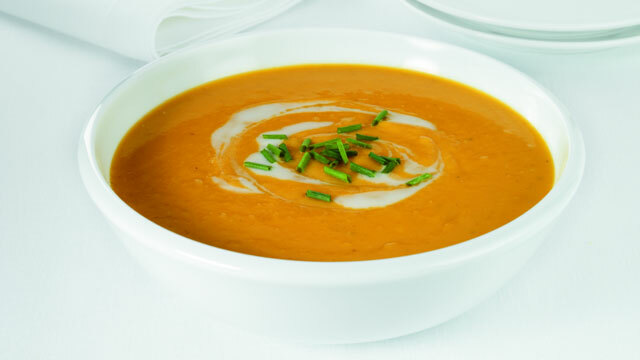 If you’d rather have the pumpkin without the spice, try my recipe for Pumpkin Soup. I know it sounds a little weird, but it is creamy and savory and so, so good! In large stock pot or Dutch oven, heat oil over medium-high heat. Add onion, celery, garlic, ginger and sugar and cook 4 minutes, until tender. Add nutmeg and cinnamon. Season with salt and pepper, stir to coat. Add pumpkin, potato and broth. Bring to boil. Reduce heat to medium-low, partially cover and simmer 15 to 20 minutes, until potato is tender. Ladle soup into bowls and top each serving with sour cream (or Greek yogurt) and green onions. Let me know: What are some of your favorite ways to use pumpkin pie spice, pumpkin, or any other Fall Favorite Flavor? Although it’s not quite cold and flu season yet, school has started and the little ones are bringing home every type of virus, bacteria, and plague around. My co-worker has a daughter in kindergarten who has already been sick twice since school started last month. And don’t forget the illness making national headlines last week: Enterovirus D68. This one is putting kids in the hospital. It’s one bad bug! Keeping your family safe and healthy is not all that complicated. Here are some tips. Wash your hands. I know it has been said (and said again, and again, and again) but it is so important. Wash with soap and hot water for at least 20 seconds. If you’re not sure how long 20 seconds is, just sing the ABC’s in your head as you wash. Be sure to really scrub between your fingers and under your fingernails too! Teach your kids to do this. 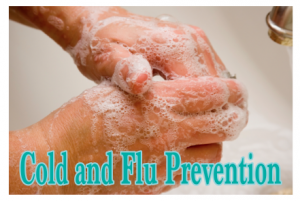 Wash your hands before eating, after using the bathroom (or helping others use the bathroom), and after sneezing, coughing, or blowing your nose whenever possible. If it is not possible to get to a sink, use an antibacterial hand gel. Washing with hot soapy water is best, but the gel will work in a pinch! Get a flu shot. The CDC recommends that anyone over the age of 6 months receive a flu shot every year. It is best to get this vaccination BEFORE flu season hits because it takes a few weeks to become effective. Avoid sharing cups, plates, and other eating utensils. Disinfect frequently used surfaces: doorknobs, light switches, remote controls, phones, keyboards, toys… There are many commercial products on the market that will effectively disinfect these items. There are also some more natural/green products you can make at home that are also effective. I wrote about these green cleaners a while back. Choose what you like! Use it! If you’re sick, stay home! Please, oh please, stay home! I cannot tell you how many times I got sick because someone else came to work sick, and even worse, I came to work sick shortly after. Before working for Cooperative Extension, I worked in a hotel. The pressures of this industry made most people (especially lower management) feel guilty for calling in sick. One time my immediate supervisor came to work with the flu. We shared a computer, pens, phones. I got the flu. I came to work with the flu, too! The day I was working while sick was a career fair day. I don’t know how many people I infected because I was scared to call in. The same goes for your kids. Most daycare centers and schools have a policy that kids be fever free (or vomit free) for 24 hours before returning. If your kid is sick, do everyone a favor and keep him home until he is feeling better and no longer contagious! Know the symptoms. Sometimes people go to work or send kids to school sick because they think it’s just allergies. I live in Oklahoma, and it is often still warm when cold and flu season starts up. During that time of the season, we tend to get a little more rain which can cause allergies to flare up. 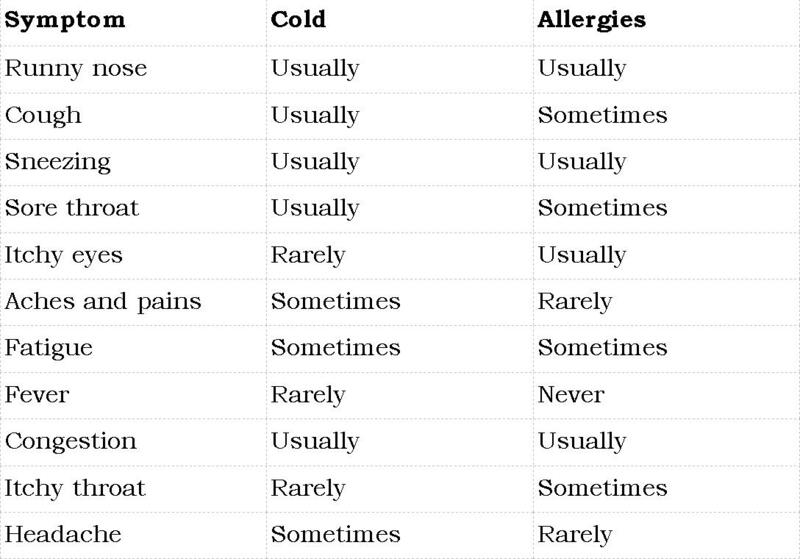 It is important to know the difference between colds and allergies. Be mindful of your hygiene. Don’t let your family get sick simply because you weren’t being careful. Don’t let your family get others sick because they didn’t want to miss out on something. Let’s all stay healthy as possible this winter! A few weeks back, I did a post about menu planning. After writing that, I got really excited about planning my menus again. I had been in a little bit of a rut, and I was having trouble coming up with interesting meals week after week. When I wrote that post, it jump started my menu planning, and I have made it even easier! First of all, I found a new menu planning form to write my menu on. I have always done this weekly, simply writing it on a scratch pad or entering it into my phone. That is so tedious, and I always have trouble finding paper to write it on. Second, I have come up with a pattern to meal planning. In order to keep things easy, I decided to have Monday be “slow cooker day,” Thursday is “leftover and dessert day,” and Friday is “breakfast for dinner day.” This has really made my planning go really smoothly! At the beginning of the month, I print out the form, fill in the dates, and then I go ahead and choose my slow-cooker, dessert and breakfast ideas, filling out all of the Monday, Thursday and Friday slots right way. I fill out the rest week by week, and I still do my grocery shopping weekly. ** If you’re confused, just go with it.